If you’ve ever sat down to confer with a child and felt at a loss for what to say or how to help move him or her forward as a writer, this book is for you. If you are a strong teacher of writing but are not seeing results from your students, this book is for you. 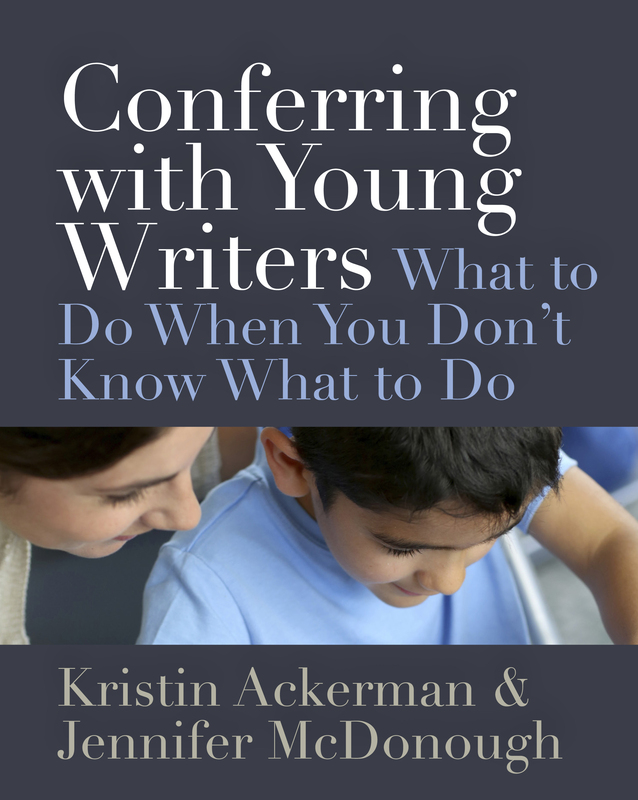 Authors Kristin Ackerman and Jennifer McDonough have been teaching writing for several years and know that conferring can be a murky and messy process—perhaps the hardest component of all. 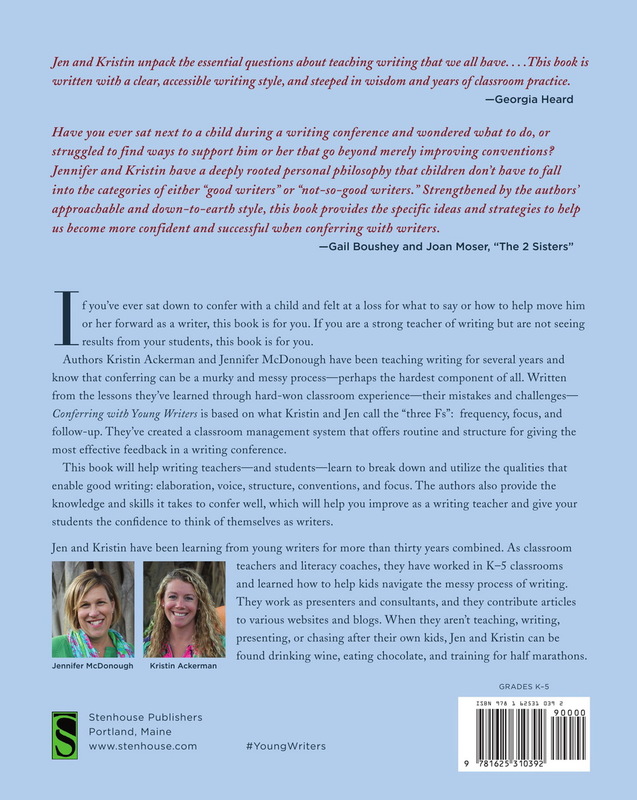 Written from the lessons they’ve learned through hard-won classroom experience—their mistakes and challenges—Conferring with Young Writers is based on what Kristin and Jen call the “three Fs”: frequency, focus, and follow-up. They’ve created a classroom management system that offers routine and structure for giving the most effective feedback in a writing conference. This book will help writing teachers—and students—learn to break down and utilize the qualities that enable good writing: elaboration, voice, structure, conventions, and focus. The authors also provide the knowledge and skills it takes to confer well, which will help you improve as a writing teacher and give your students the confidence to think of themselves as writers. Jen and Kristin unpack the essential questions about teaching writing that we all have. . . . This book is written with a clear, accessible writing style, and steeped in wisdom and years of classroom practice. Kristin has been teaching and conferring with writers for over twelve years. As a literacy coach, teacher, presenter, consultant, and writer, she is passionate about reading and writing. Kristin has taught in Title 1 schools in both Florida and Georgia as well as an independent school in Florida. Have you ever sat next to a child during a writing conference and wondered what to do, or struggled to find ways to support them which go beyond merely improving conventions? Jennifer and Kristin have a deeply rooted personal philosophy that children don’t have to fall into the categories of either “good writers” or “not-so-good writers.